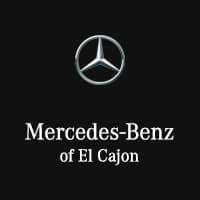 Compare the AMG® CLA 45 vs. Mercedes-Benz CLA 250 in El Cajon! The Mercedes-AMG® CLA 45 is the more powerful trim, dishing out 375 hp vs. 208 hp from the Mercedes-Benz CLA 250. San Diego drivers can also expect race-derived features engineered by AMG®—the high-performance division of Mercedes-Benz. With the AMG® CLA 45, you’ll get an upgraded exhaust system, a sport steering wheel, simulated suede upholstery inserts, and more. Have questions about the Mercedes-Benz CLA 250? El Cajon drivers are welcome to contact us or visit us near Chula Vista and La Mesa.